Home / Food / Honey & Co.
Our meal started with a delightful mezze course – a selection of delicious starters such as hummus, labneh, olives, pickled Moroccan carrots, and the most delicious Yemeni style falafels served with warm pitta bread. The menu was limited but it still took me a while to decide on my main course. 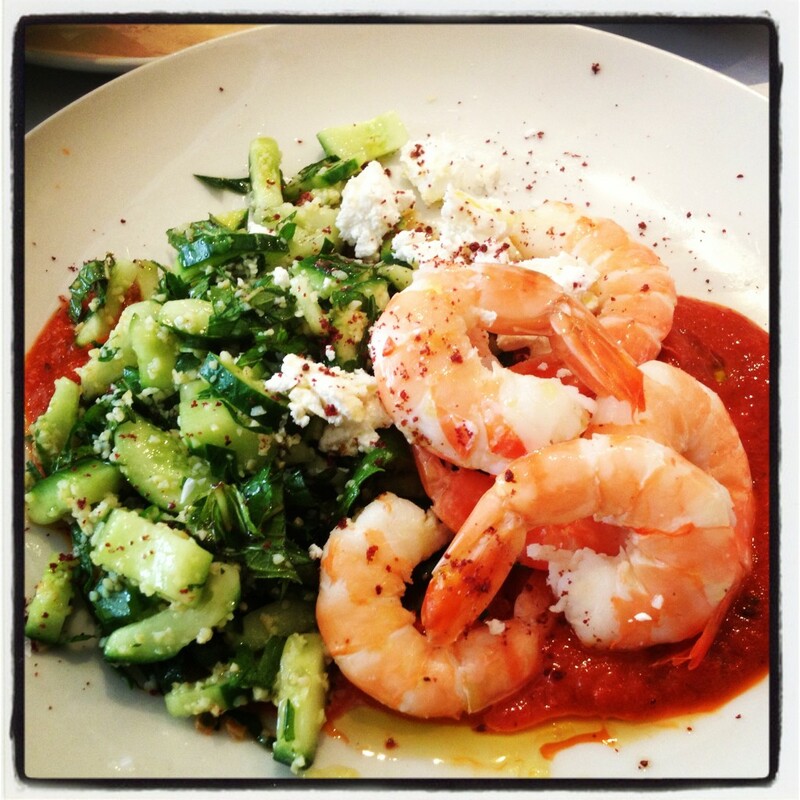 Everything sounded delicious but I chose the Poached Mediterranean Prawns with Herb Tabule and Creamy Feta. And I chose well. 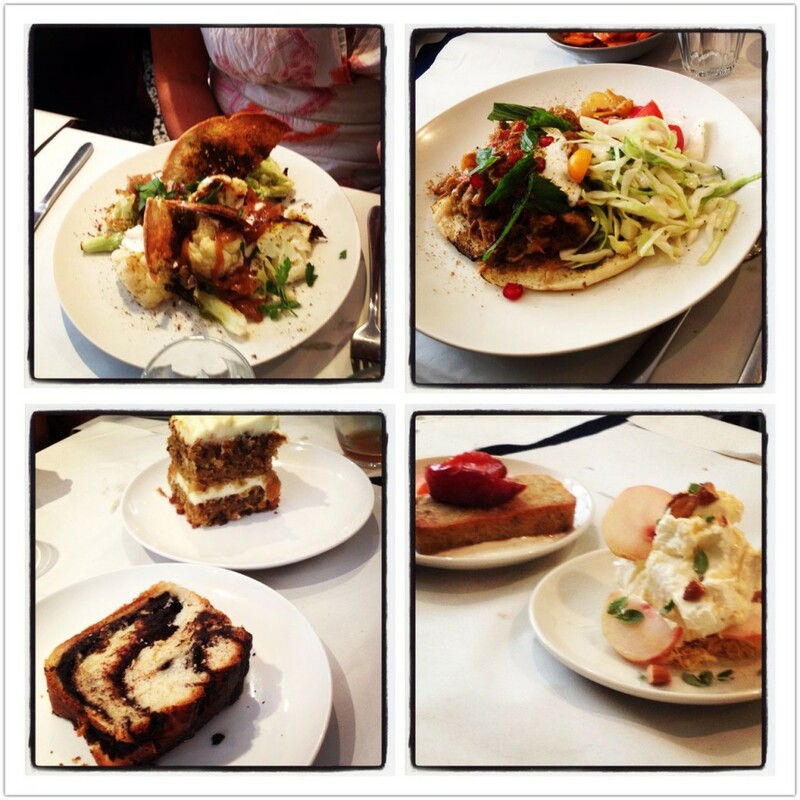 I managed to sneak in some pics of other people’s food as well as the lovely desserts before they were all devoured. Entrees featured here are the Cauliflower Shawarma (Spice Roasted Cauliflower, tahini, caramelised onion and crispy pitta) as well as the Lamb Shawarma (Charred pitta, yogurt, mint and fresh salad). 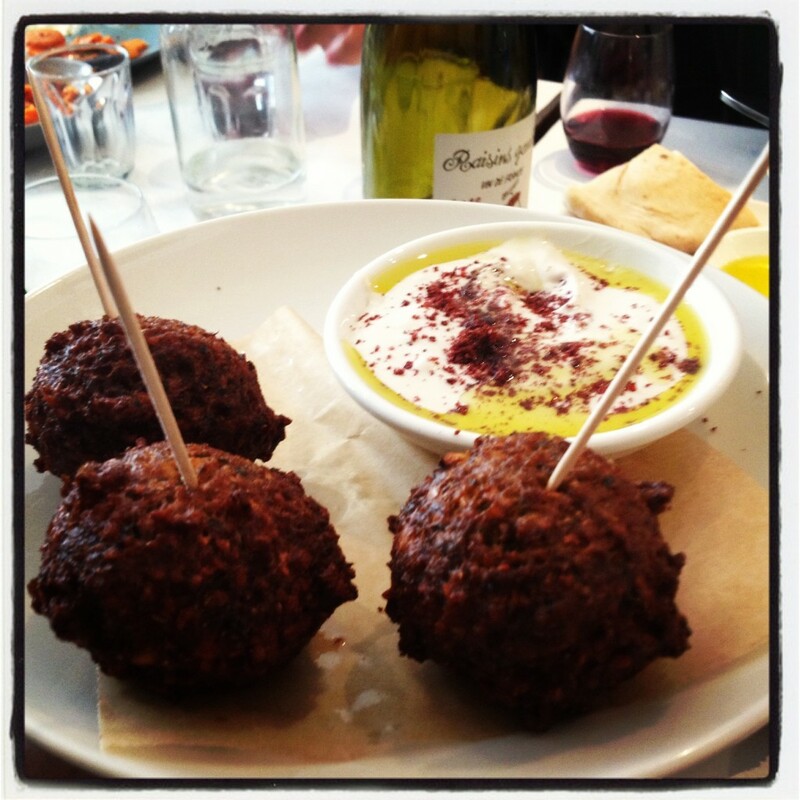 Definitely not your typical greasy shawarma! Desserts (also pictured below) were original and outstanding. My favourite was the warm Pistachio cake topped with roasted plum. 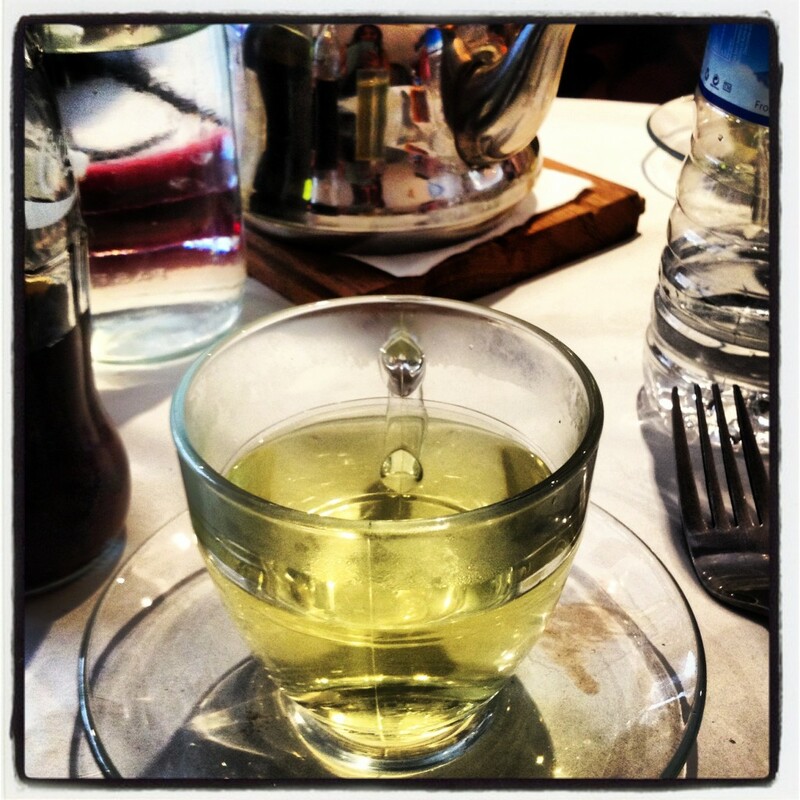 I can’t resist a pot of fresh mint tea and it was needed after the fantastic meal. The cardamom coffee looked super tempting too – next time! Thank you to our lovely friend, Jen, for inviting all of us to Honey & Co. And, thank you, Honey & Co for a fabulous meal – will definitely be back for more. 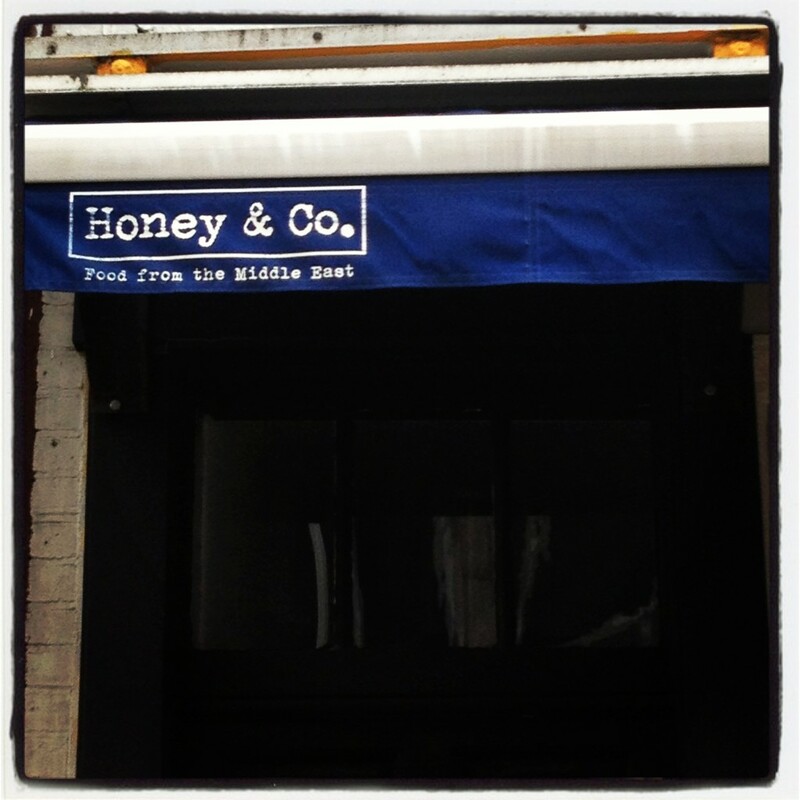 Honey & Co is tiny – the restaurant seats 20 people max and is popular so definitely a good idea to book in advance. 4 thoughts on : Honey & Co. This food looks marvelous! We must go when i am there. Yes absolutely. You will enjoy it for sure. Yes you will enjoy it 🙂 when you coming? ?